I enjoy shore excursion shopping especially if it is something I really want to do and there are two or three trip options that include it. For the most part I tend to book through the cruise line for many reasons but the main one being that if anything went wrong and we were delayed the ship would still be at the dock when we got back. A few times I have done my own thing once ashore and recently used a shore excursion company in Florida to book a trip in Roatan. I must admit I will do this again, it was a great trip and not too long so no panic about being back at the port on time, there were hours left to spare. 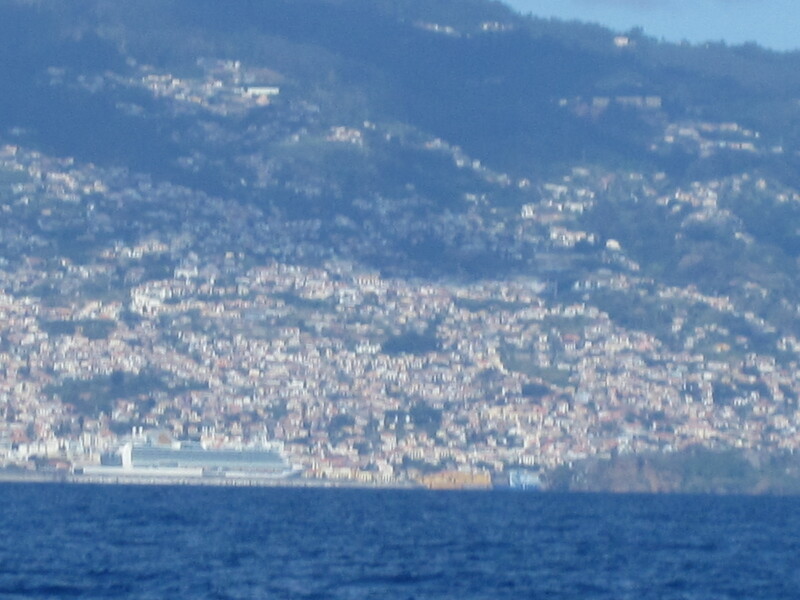 It hasn’t always been smooth sailing though; I did get caught out almost in Madeira in 2011. We couldn’t decide what to do so decided to do nothing, it was my second visit to Madeira at the time and to be honest I was happy to do whatever my friend wanted. We had a walk around and eventually passed the centre where you can book trips for Dolphin watching. She had mentioned it a few times on the ship but we never actually booked it. Now we were outside she mentioned it again, it was our last port so we thought OK, whatever let’s just do it. The option via the ship had put us off because it was on a catamaran and obviously there could be a fair few other people onboard. The option we went for ashore was via speed boat and only room for up to 8 people so it was ideal to be honest and there would be no pushing and shoving to see. 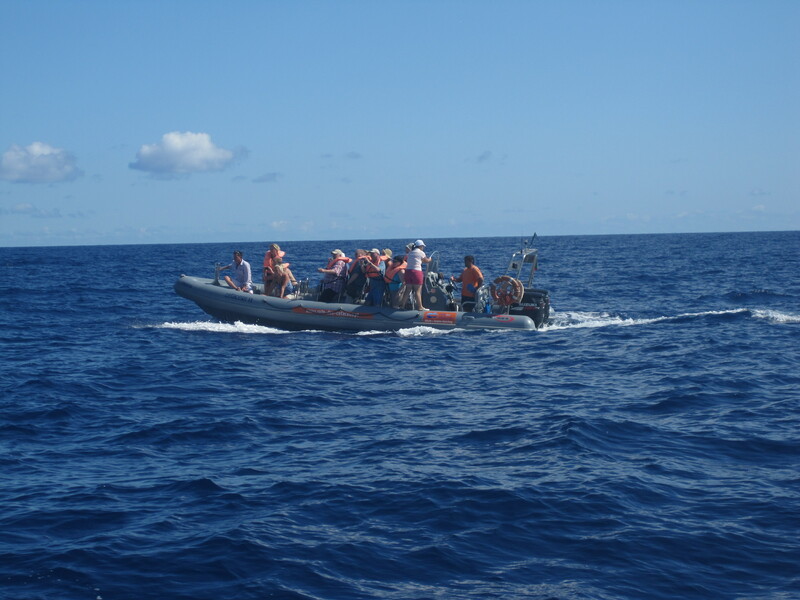 We paid our money, had the safety briefing and off we went to get the boat. It was a lovely day but there was quite a decent sized swell so every now and then you got covered in water. I went back to the ship with my left side all white and chalky; it was like having a partial spa day too! The trip doesn’t guarantee you see anything, after all this is Mother Nature so how could it. We had been out for about 3 hours and still not one dolphin or whale had we seen, both my friend and I by this point were still enjoying the trip but just about ready to call it a day when our guide got a message from another boat to say there was a pod of around 60 dolphins to the other side of the port. At the time though we didn’t know this, we just thought we were going back to the marina as the trip was only supposed to be 3-4 hours long and by now we really needed to start thinking about getting back to the ship! The time was still ticking on, we had gone so far from the port we had to race back along the coast line to catch the dolphins before they left. The ship had also by this point gone out of view so when I could finally see her again I felt a little better. She got bigger and bigger then suddenly smaller and smaller again as we went passed! 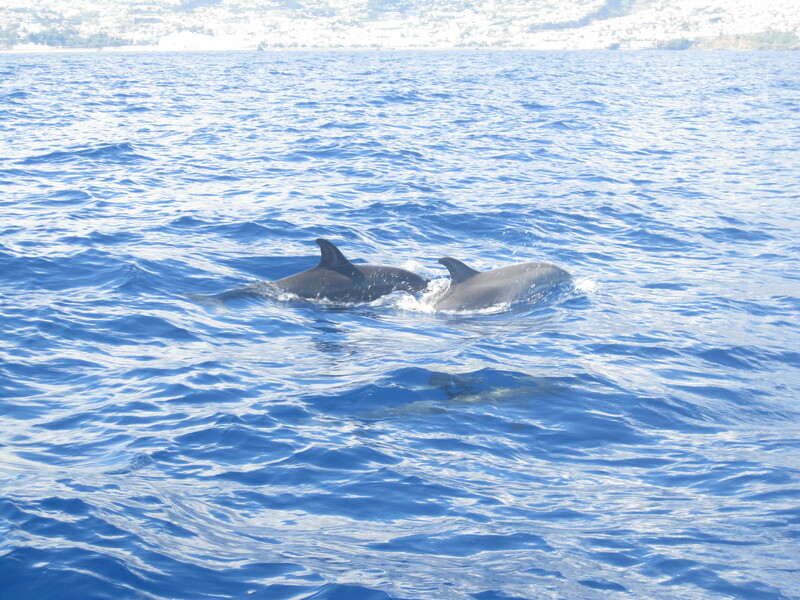 I said to the guide on the boat where are we going, it was now that she told us all about the dolphins. My friend and I looked at each other with the same slightly concerned facial expressions. I turned to the guide and said that’s brilliant but we need to start thinking about getting back to the marina, we are on the cruise ship. She assured us it would be ok so we turned our attention to the dolphins. It was amazing, one of the best experiences of my life it really was. They were so close and completely un-deterred by us being there. Every now and then the driver would move the boat and the dolphins seemed to love it! 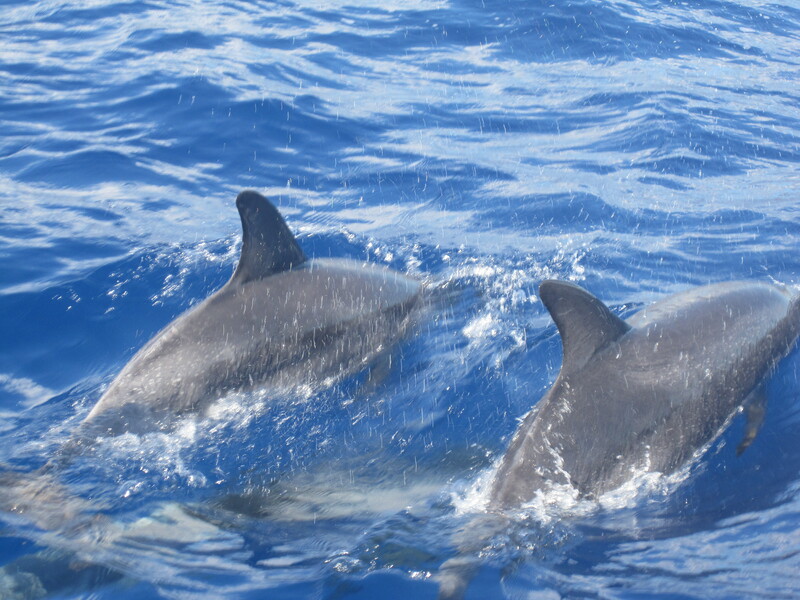 They would swim alongside, play behind the boat and do the odd little trick, it really was as though they wanted to perform for you and these were wild dolphins! They do offer some people the chance to get in the water with them but because it had taken so long to find them today sadly it was not possible. We watched in awe for what felt like forever but in a good way, when I once again focussed my attention on the time, there was a lady on our boat from the Netherlands and she too was starting to appear concerned for us about the time. Eventually we said look we need to get back and with the backing of our new Dutch friend she got the driver to turn us around. We jumped off the boat and raced along the path up towards where we had to get the shuttle bus, by now we were tempting fate as this was the last shuttle bus back to the ship, we just made it!!! Both our hearts were racing! If we had missed the bus we could easily have jumped in a taxi and still made it back on time but whether or not we would have had enough money to do that remains to be seen, we had spent up! The moral of my story is if unsure please always book your trips with the cruise line directly! It can save a lot of hassle should anything go wrong and you can enjoy your trip without constantly worrying about being back to the port on time. If you book with the cruise line and there is a delay they will wait, if you book with an outside company you may well come back to the dock to see nothing but the ships wake as she leaves you behind, it really is quite as simple as that. With proper planning, you can find companies to help you do private excursions and save money while doing it. I definitely recommend building in enough time to get back the ship so you don’t have to run back and experience so much stress. But you know what? We all do it once so we can learn from the experience! Great post as usual Danielle. And an appropriate warning. On our first cruise, a couple failed to make it back to the ship in time, so we left without them. It was 2 days to our next destination! A few hundred yards out to sea, the couple arrived at port. And thankfully, the Pilot volunteered to bring them to the ship. Imagine the interest from the onlookers crammed onto the balcony. But what a good example – and the captain certainly made use of it!